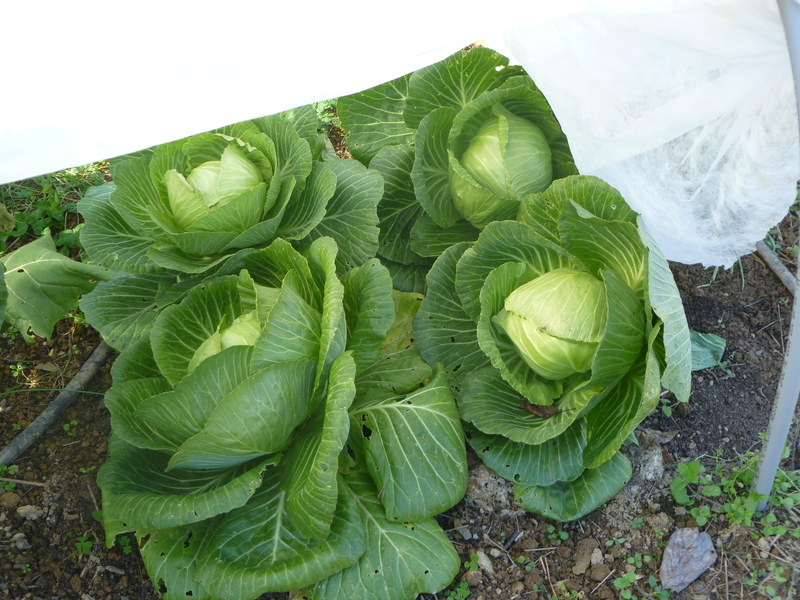 Exciting news from the cold frame. 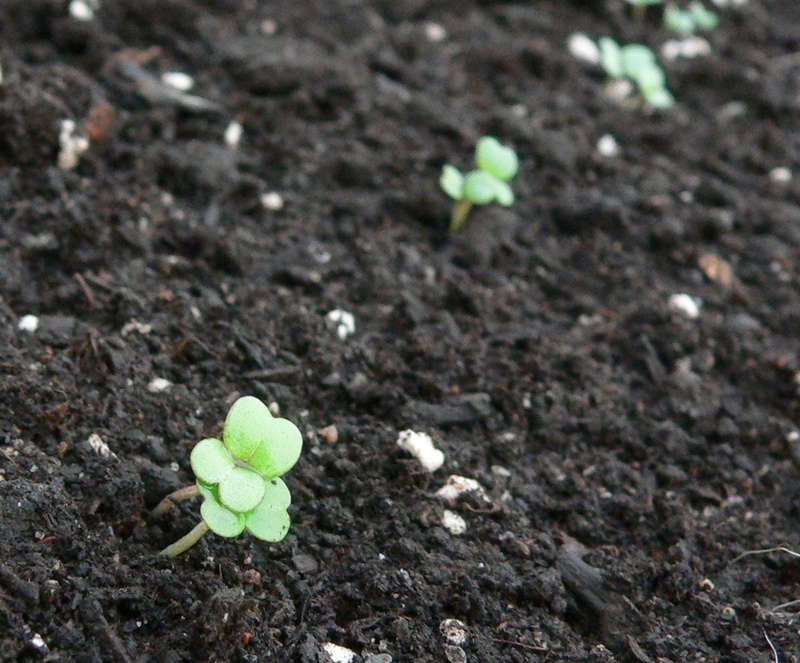 I checked it yesterday – gave it a bit of water and guess what – there were three little Arugula seedlings poking their little leaves up through the soil! The soil temperature has dropped to around 40F, so I’m not sure there is going to be much action with the other seeds – but we will see – nature is just one miracle after another! The cosmos seedlings were floundering in the south-facing window, so I bit the bullet and put them under the lights in the basement – amazing what a bit of light from above can do – they are much happier now! 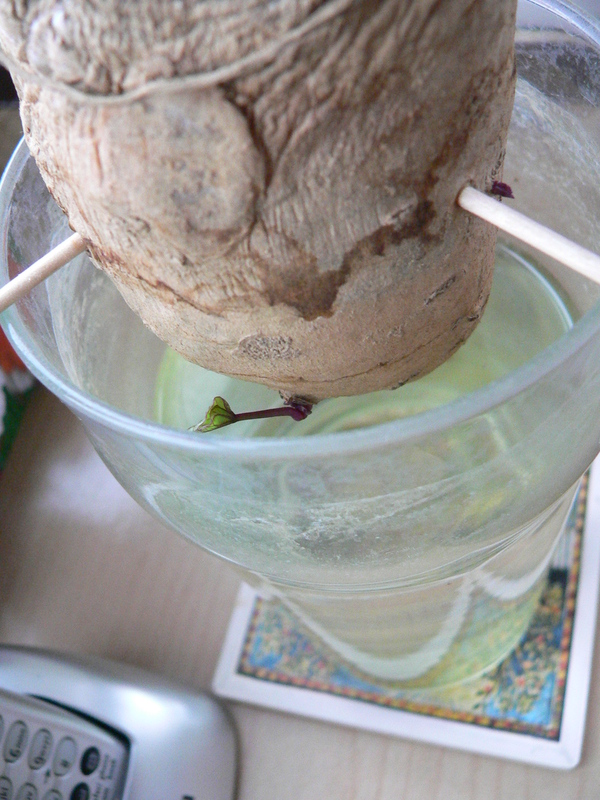 I’m afraid to report that the sweet potato slips are not doing very well – I keep changing the water and even turned one upside down to see if would make a difference, but I’m not holding out much hope for these. I did order some, so I fear that will have to be it for this year.. Finally Getting the Season Started! 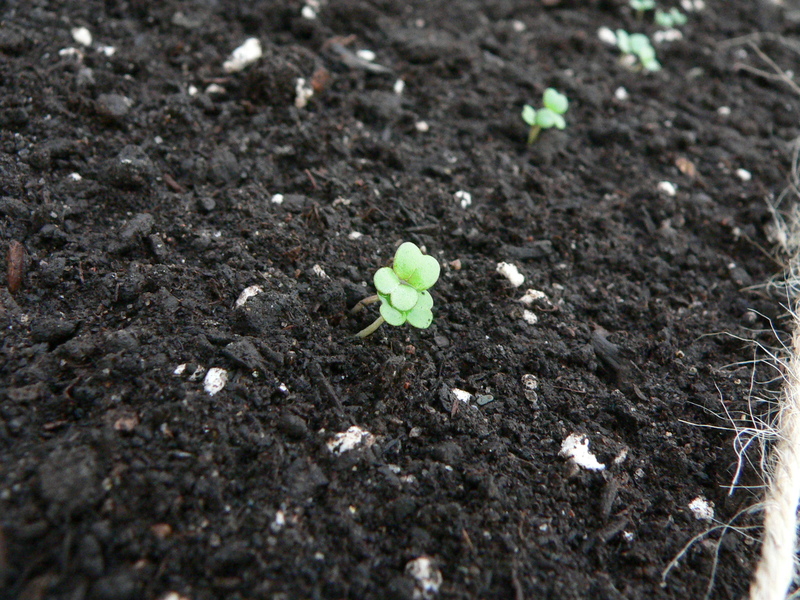 After weeks (well a couple of months actually) of planning my 2011 garden, I finally sowed some seeds today – 6 x Cosmos – they are good companion plants. I decided not to put them under the lights yet to save some energy, so they are sitting on the window sill in homemade newspaper pots. 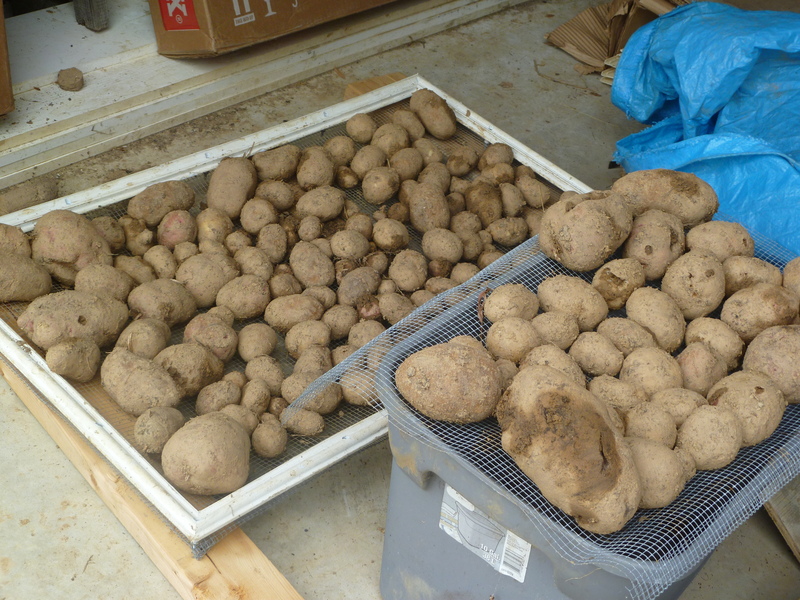 Actually I did get started with my sweet potatoes a couple of weeks ago – see photo. 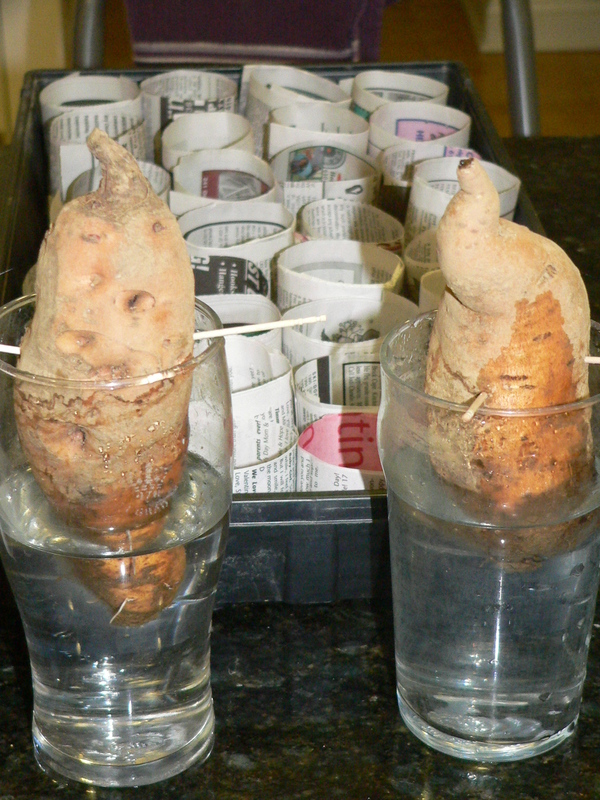 Sweet potato slips are very expensive (relatively anyhow) and so I took the two I had left from last season and am trying to grow my own by suspending a third of each one in water. 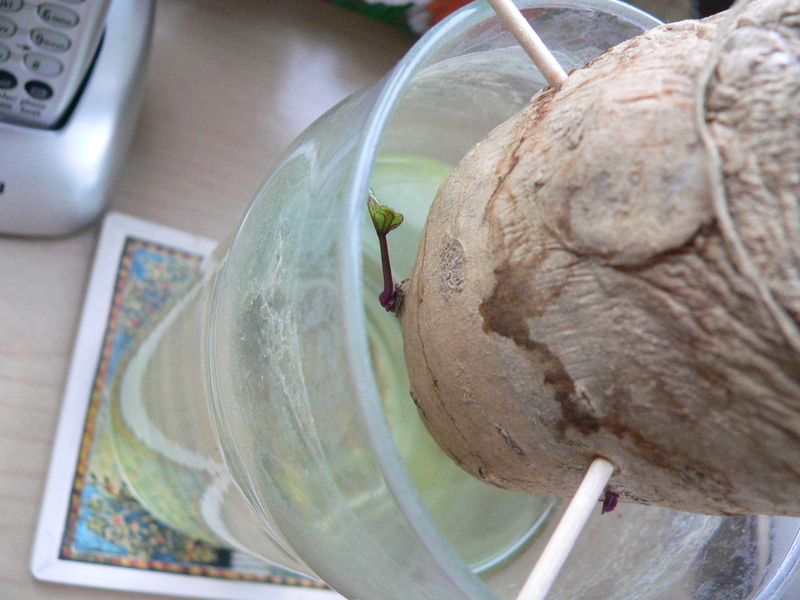 I read about this technique in a book, I thought they were going to grow from the top, but unexpectedly, they have started sprouting from the bottom. Anyhow, at least that means there is some life left in them still (they were a bit shrivelled from storage), so that seems to be a good sign!